I have been wanting to do the caterpillar “project” for months, but the time hasn’t been right and I wasn’t able to purchase it. But if you have the time and just want to order this, I can only highly recommend it. 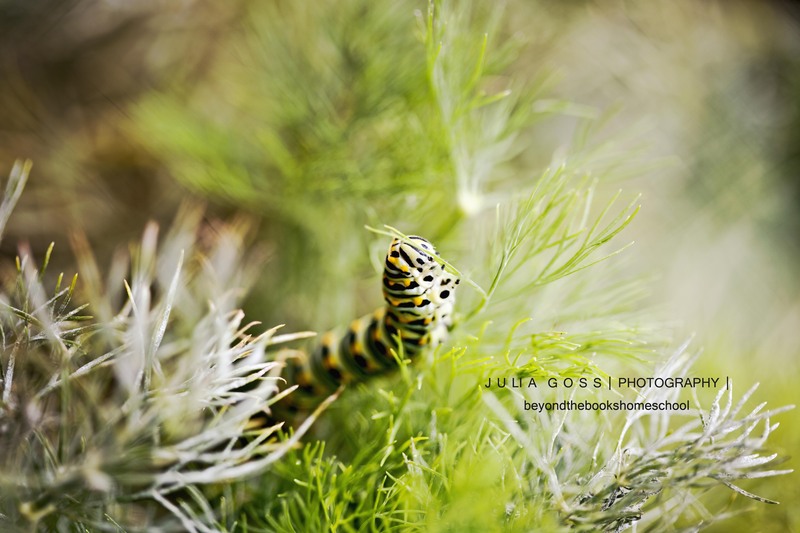 At first we watched the caterpillar outside in the dill for a few days and I kept researching a few facts ( I didn’t want anything to go wrong, for the kids sake and the caterpillars of course ) . We quickly found out, he was a black eastern swallowtail. After finding a few more members of his family, I didn’t feel so bad to take one away. And I am very glad I did, because some of the others disappeared days after. Not sure what happened to them. We took a very large vase, filled it with some dirt, a few long branches and sticks, and lots and lots of fresh dill. I covered it with a thin sheet of aluminum foil and added some holes. It is pretty incredible to see this little guy eat and crawl around. The girls have been checking on him , drawing pictures and doing lots of their own research. He just started the pupa stage, so we are very excited to see him change ! I will be honest with you, I love shopping for curriculum and if money was no object, I would probably have two more rooms filled with books. It is just so fun reading about it and seeing the possibilities, then again choosing and making sure it is the right one for your family, isn’t always as much fun ! I kept our first year rather simple and basic. Since we are more secular homeschoolers, my options didn’t seem as big. But fast forward a year and my options have expanded quite a bit. But I really wanted to talk about one thing we loved for our first year and that we will continue in the next one. And that is Story of the world ! Both my kids have a big interest in history, we love going to museums, watch movies about it, make crafts with it and just hear about old times ! For me, growing up in Germany, history was always a big thing. It was EVERYWHERE. Now living in the states, it is more about modern history, which can be very adventurous as well ! We decided for Vol.1, the workbook that comes with it, and also the CD package. The girls really love the story cd’s, I grew up with listening to stories all the time, and so my girls love listening to all kinds of stories as well. While we color, play, or eat.. we often find ourselves listening to stories. Sometimes for the lessons, I just turn on the CD and we snuggle up in our reading corner and listen to Jim Weiss tell the story. We created a wall in our “adventure room” with a timeline and every time we create crafts or color something from the workbook, we add it to our wall ! It has turned out beautifully ! I don’t think another book, or curriculum could have kept their interest for this long. At first, I wasn’t sure how well all that information would stick, but they surprise me every other day when they make references to certain history events or leaders. Most of the crafts are easy and very fun. My youngest isn’t always big on coloring, but since these aren’t your normal coloring themes, she was often more interested in it than boring pre-school coloring books. My oldest spent lots of time making them perfect ! Sometimes I wanted to skip ahead ( we didn’t make it through the book in 1 year ) but I am so glad I took the time and created many of the crafts etc, with them . We made Chitons ( greek ) one day and spent the whole day as Greeks, made Phoenician necklaces, made pyramids out of lego, built Shadufs and so many more things I probably would have never thought of myself. A lot of people tell me, you can find many resources online for free. And that is true, luckily a lot more resources are popping up online every day, and I love to take advantage of them when I have the time. Time is still a big issue and with my year of free floating and making my own curriculum box, planning took a lot of time away from me. One part of me loves planning out lessons, another part of me, just wants to take a break or spend it with my husband. With Story of the world, the planning is really easy. The workbook guides you beautifully through the lessons. It has review questions for your kid, ready to be asked and answered. I think vol.1 did a beautiful job on covering the subject of the ancient times. There were a few chapters where I wondered why more content wasn’t added and I tried to find a few extra’s. I supplemented with the library a little bit and also a few workbooks by the evan moor company ! We are more or less secular homeschoolers and we were definitely okay with the religious terms or subjects in the book ! Some more religious people told me, that this simply didn’t cover enough for them. I think that is something you will just have to find out on your own ! It does cover a lot of basic knowledge though ! The book by itself is a great Resource. My kids are good readers and can read it by themselves already. Often we read along with the cd, or take it back out to check our facts. The CD makes lessons so much easier. Also on days, when mommy isn’t feeling well, it is a great option and we always feel like we still learnt a lot ! You can find a preview of the stories on youtube. Last the workbook. I can highly recommend this one, because it just makes History come alive. So many ideas became so much clearer after seeing our crafts or making/ using them. All the crafts are easily done by the kids themselves or most often only require a little help by an adult. It is always up to you which ones you choose. You can extend the lessons or just skip through some of the activities. Thanks for reading my review, I hope it helps you choose if story of the world will be a great fit for you ! If you have any questions, feel free to leave a comment and I will do my best to answer. One this one we made our own roman signum ! Just came across this post earlier and thought I would share the link ! Looks like a great book, and once you have the kindle (or kindle app) it is free as of right now ! I liked the versions, where the crayons don’t actually get glued to the canvas, so we took a little piece of cardboard and glued them straight onto that. I also loved the look of the crayons against a black canvas. After going to the craft store I was shocked how much more expensive the black ones were. My brilliant 4 year old suggested, why not just paint it black ourselves.I took a big brush and started putting on a nice black layer. The cardboard fit right above the actual canvas, and with our easel it just laid on top of it. The kids chose their favorite crayon colors and unwrapped all the paper. Next I glued them onto the cardboard. It was a lot of fun. Took a little bit of patience and it was a little messy, but overall a very fun craft ! The kids got a few turns holding the hairdryer, but they went a little crazy with it and paint or better wax starting going everywhere, so I eventually took over and just let them have short turns. 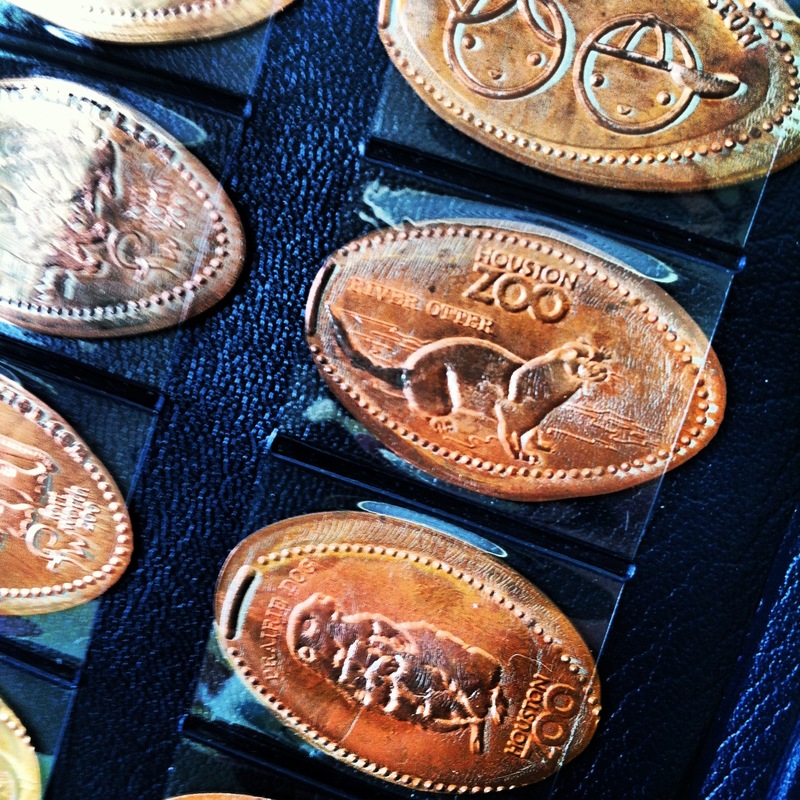 I bet all of you have seen the “smash a penny” mashines at varies, touristy, locations. I have seen them all around the world. As a kid I used to collect them here or there, never with much thought behind them, and sadly I don’t know where any of mine from my childhood are. My daughters have started their own little collection now though, and we try to make sure to add lots to their collection every time we go on our little adventures. It started during our vacation in Chorpus Christi, which was one of our greatest vacations yet. So much fun, so many awesome things to see and learn, aquarium, beach, water, museums.. unforgettable times. Anyways, we started collecting them for the girls and they would like to present their collection and share their excitement with everyone. We would love to see other people collections 🙂 Maybe somebody else is collecting them, or maybe you would love to help our girls collect them while you travel the world. We would love to make exchanges with you and your kids !! Here is a picture of part of our collection. More pictures soon. With the start of our homeschooling year I actually found myself reading a lot more again as well. Many new subjects to explore and the world of homeschooling just seemed to get bigger by the minute. 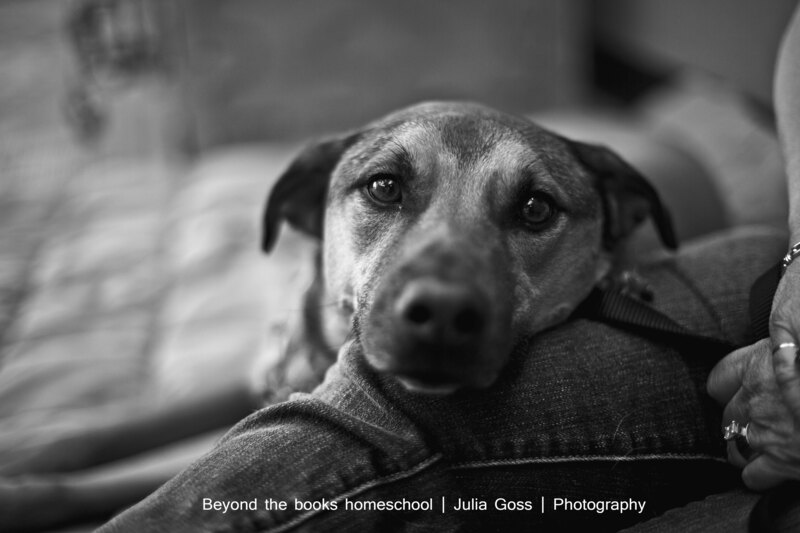 The start of homeschooling was a new beginning for us in a few ways. One was also a move to another city, and that meant new libraries (yay) ! We came from a small little town, and moved to a larger city, with lots and lots of big cities around us. After settling in a little bit, I had made myself a pretty good list of books I would love to read again and especially about homeschooling. I especially love books, that write from a personal experience and aren’t just theoretical. Often I just want to connect more to the people and their choices. A year of living dangerously was one of those books for me. Quinn Cummings describes the adventure of homeschooling her daughter beautifully and with much joy and it was easy to relate to her and her family. As a beginner homeschooler I could already relate to different subjects she described like the many, different kinds of homeschoolers and groups that exists these days. After having just moved into this community, and having received a wonderful, warm welcome of SO MANY different homeschool groups I could really relate to her experiences as well. When you don’t really know in which group you belong yourself yet, it helps to read from a different perspective sometimes. I came across a few people that described her year of homeschooling, more as an experiment to write about, but I personally don’t think she meant it that way and only chose to write about it because she found herself in a “new world” that she didn’t even believe existed in the way that she did find it in ! There are so many ways of homeschooling these days in the USA, and I think it is beautiful that we have the choice of how we want to educate our children. Cummings book was a light reading but I enjoyed it so much that I found it hard to put the book away. With many worries at the beginning of homeschooling this is what I needed to read ! I just signed up to be an amazon associate, it just gives me a great reason to write about the things I / we love and possibly a chance to help our homeschool budget ! Your support is much appreciated !